Hemifacial spasm is a form of dystonia where the muscles of one side of the face contract uncontrollably. It is therefore a disorder of the seventh cranial nerve. It virtually always includes eye closure and commonly includes the raising of the corner of the mouth. If the facial muscles are weak, then one has to be very concerned about the possible presence of a brain tumor. Even if the examination is normal, all patients should have a MRI of their brain to look for a tumor compressing the nerve. Occasionally, by observation alone, this condition is difficult to separate from a focal seizure and an electroencephalograph (EEG or brain wave test) is needed. In children, one has to be sure that they are not dealing with facial tics. For those patients for whom no cause can be identified, it is believed many if not most patients have a small blood vessel pressing against the nerve and it is presumed that the mechanical pressure of the pulsating blood vessel causes the facial nerve to fire and produce the spasm. 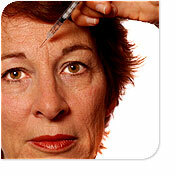 The treatment of choice for hemifacial spasm is botulinum toxin. For those who wish to try and avoid the cost of the injections, one can consider either going straight to surgery (high chance of success) or one can try anticholinergic medications and benzodiazepines (low chance of success). When botulinum toxin is ineffective, then surgery is indicated. Disclaimer: This site is not intended for diagnosis but rather to offer information to make a better informed patient. Discuss all treatment changes with your physician prior to making any changes.